Fans not only watch the films of their favourite actors but also like to keep a check on their personal lives. Naturally, fans of Kannada-Telugu actress Rashmika Mandanna were shocked to hear that she has called off her engagement with fellow Kannada actor Rakshit Shetty! As per a report in Deccan Chronicle, Rashmika Mandanna called off her engagement with Rakshit Shetty over compatibility issues between their families. A source close to the family confirmed the news stating that the actress has broken all ties with her former fiancé. This source also claims that Rashmika is not happy with the unfortunate turn of the events but is trying to deal with it maturely. 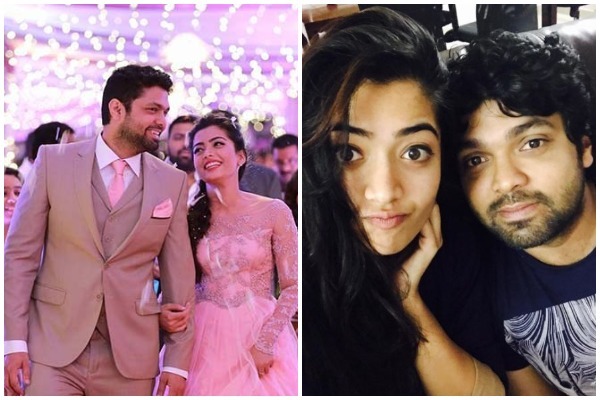 As per sources, things started turning sour between the star couple when Rashmika Mandanna started getting more Telugu projects post her engagement and she chose to give the priority. Hence ruffling the feathers of her former fiancé Rakshit Shetty and his family. “Rashmika made the decision after consulting with her parents, family elders and friends. It was a tough decision to make, but she is showing a lot of character in overcoming this personal and emotional setback. She has been receiving some exciting offers in Telugu and Kannada, and she wants to cement her place in both the industries,” said this close source. So Rashmika Mandanna chose to end her engagement as she is not ready to settle down so soon in her career when she is getting brilliant projects. Reportedly, Rashmika will soon start shooting for Bharat Kamma directed ‘Dear Comrade’ in which she will be seen in a role of a cricketer. As for Rakshit Shetty, the Kannada actor has deactivated his social media accounts further fuelling the fire that his engagement broke due to some other reasons. Kannada actor Kichcha Sudeepa came forward giving moral support for both of them and appreciated the maturity with which Rakshit has responded to the matter. “That’s dignity n maturity Rakshith . Stay blessed my friend. ………………… Public personalities dsnt mean emotions need to be public too isn’t it?? Everyone deserves a bit of space my frnzz,,n it isn’t too mch one can ask for. . [sic]” he wrote on Twitter. Other reports state that as Rashmika started getting more offers, the gap between the couple started deepening. However, the final nail in the coffin of their relationship were the bold scenes RashmikaMandanna shot for her film ‘Geetha Govindam’. 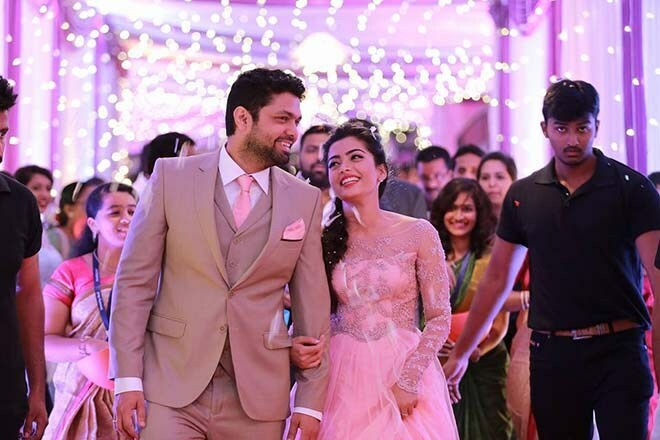 Rashmika Mandanna and Rakshit Shetty got engaged in a grand ceremony held last year in July. Next : Shah Rukh Khan -Gauri, Kareena Kapoor, Karisma Celebrate Ganesh Chaturthi In Ethnic Wear!